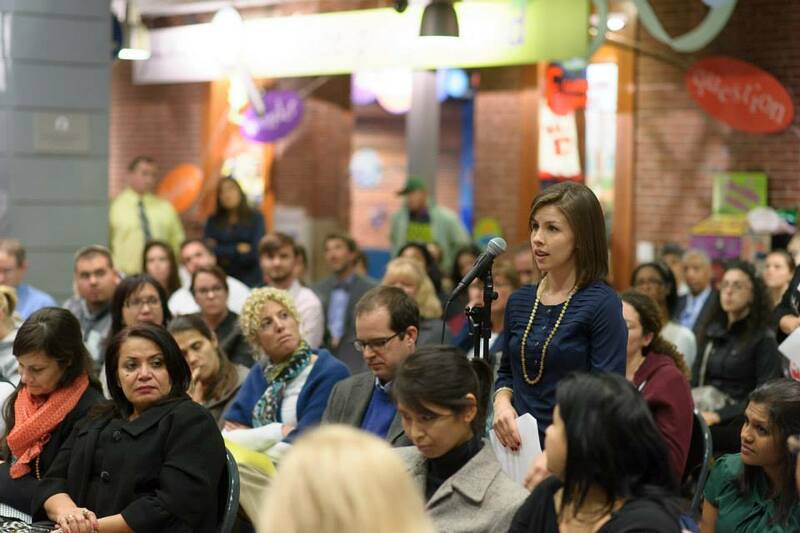 More than 200 people came to the Boston Children’s Museum last Thursday night to attend “Conversation with the Boston Mayoral Candidates – Early Childhood and Education: Closing the Achievement and Opportunity Gaps.” Strategies for Children, Boston Children’s Museum, Thrive in 5 and United Way of Massachusetts Bay and Merrimack Valley cosponsored the event along with 31 other organizations. Both candidates – City Councilor John Connolly and State Representative Marty Walsh — participated, each on stage separately. Candidates answered questions posed by the night’s moderator, WBZ political reporter Jon Keller, and from the audience, which included early educators, providers, pediatricians, college students, professors of higher education, teachers, advocates, and citizens. 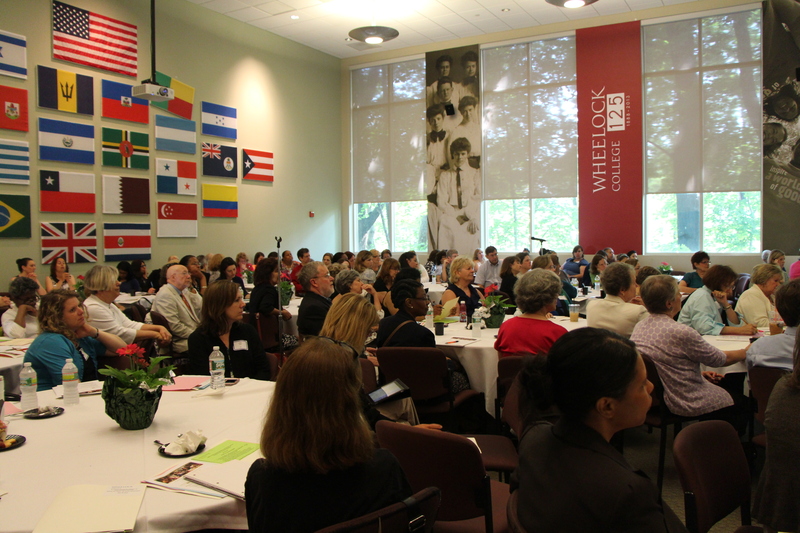 As Carolyn Lyons, the president and CEO of Strategies for Children, explained to the audience in her introduction, the forum builds on the momentum that has been fueled by early education proposals from Governor Deval Patrick and other governors, the Massachusetts legislature and President Obama’s bold proposal to expand preschool programs nationally. This Thursday, October 24, from 6:00 – 9:00 p.m., the Boston Children’s Museum hosts a Conversation with the Boston Mayoral Candidates. Jon Keller, WBZ-TV News’ Political Analyst will moderate the conversation. To retain Boston’s status as an economic leader and hub of innovation in the years ahead, the next Mayor must improve educational outcomes for the city’s children. The achievement gap is evident long before children enter school, and we will not succeed in closing it unless we target resources to improve early learning and healthy child development. Join us for a conversation with the two candidates running for Mayor and hear more about their vision for children and families in Boston. This event is sponsored by: Boston Children’s Museum, Strategies for Children, Thrive in 5, and United Way of MA Bay and Merrimack Valley. The Children’s Investment Fund has been shepherding proposed legislation through the State House that would create bond funding to build or improve early childhood education (ECE) and out-of-school time (OST) spaces. The need is considerable, as the Fund found in a survey of ECE and OST programs located across the state. 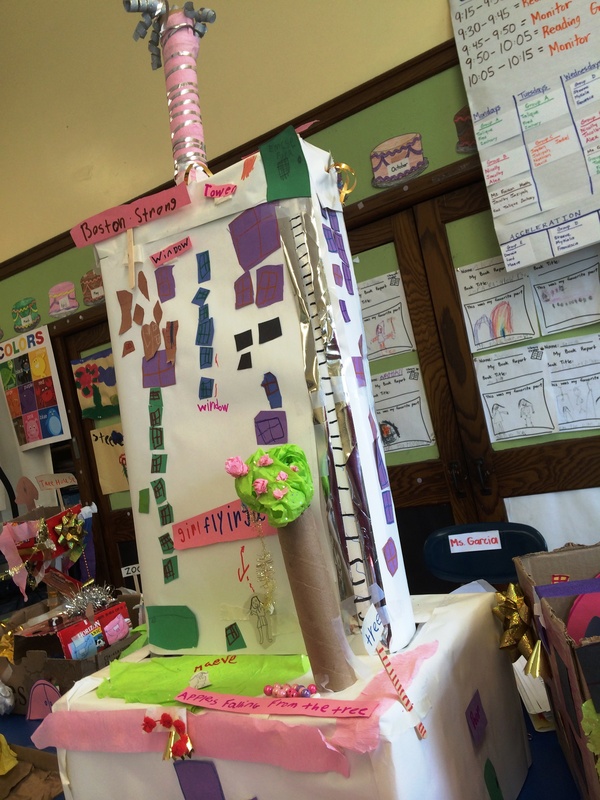 A report of this work – “Building an Infrastructure for Quality: An Inventory of Early Childhood Education and Out-of-School Time Facilities in Massachusetts” — sheds light on a host of problems, including ceiling holes, poor air quality, inadequate heating and cooling systems, and inadequate play spaces. An executive summary is available here. To download the full report register here. Throughout the day, participants asked a common question: How can we get better at telling our story? Good answers came from elected officials, advocates and child care providers. During the morning session a panel of elected officials offered a range of advice for reaching out to government. One of the first lessons that Boston City Councilor Ayanna Pressley learned was “not to be self righteous.” She also called on advocates to tell the moral story about early childhood education and the economic story. Don’t underestimate the power of aides, Pressley and DiDomenico added. Talking to elected officials’ staff members and policy directors can have a powerful impact. 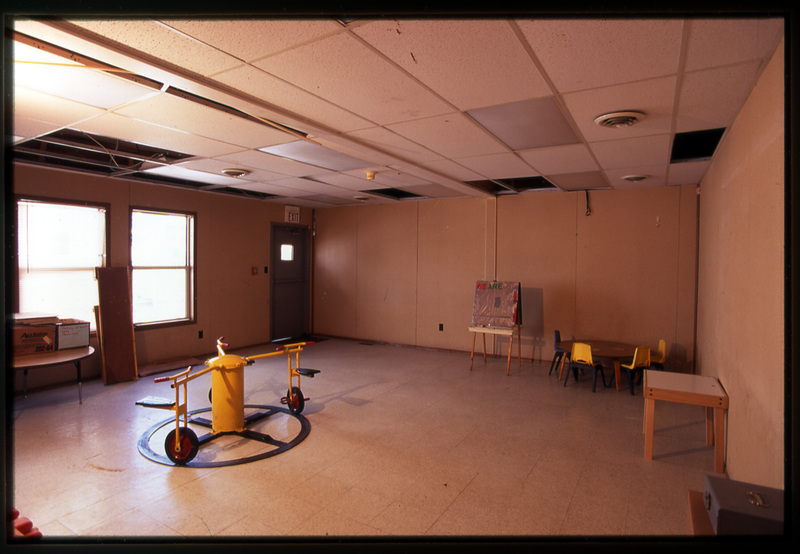 In 2011, a report from the Children’s Investment Fund (CIF) revealed the substandard conditions of some early childhood and out-of-school time buildings and facilities in Massachusetts. One photograph in the report shows a big hole in the ceiling with dirty pink insulation hanging out. In another photograph a leaky toilet stands on a badly stained concrete floor. A third photo shows children playing in an empty parking lot. We wrote about the report — “Building an Infrastructure for Quality: An Inventory of Early Childhood and Out-of-School time Facilities in Massachusetts” – in a blog entry posted here. For early education and out-of-school time providers the economic reality can be painful. “The poor condition of the facilities is a resource issue, not the result of providers’ lack of understanding or concern. Providers that serve our highest-need children are squeezed financially – subsidy rates and parent fees don’t cover their operating costs, so they have no cash reserves to renovate or build space that truly supports children’s healthy development and learning,” according to Mav Pardee, CIF’s program manager. 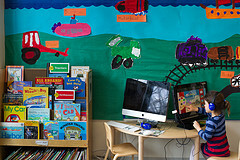 The Massachusetts Board of Early Education and Care voted to endorse a bond bill that includes $45 million in capital financing for non-profit providers of early education and out-of-school time services to build or renovate facilities. The bill follows the 2011 release of “Building an Infrastructure for Quality,” a report from Children’s Investment Fund, found shortcomings in safety, air quality, indoor space for physical activity and other measures. Mav Pardee, director of the Children’s Investment Fund, updated the board on the Building Quality Campaign – a partnership comprised of the fund, Citizens Planning and Housing Association (CHAPA), and the United Way of Massachusetts Bay and Merrimack Valley. The bond financing for early education and out-of-school-time facilities is included in CHAPA’s $1.2 billion housing and community development bond bill. Representative Jeffrey Sanchez has filed a separate facilities financing bill with the same language as a placeholder. The January 8 meeting was also the last for former Secretary of Education Paul Reville, who has returned to the Harvard Graduate School of Education. Matthew Malone, former superintendent of the Brockton Public Schools, who was sworn in as the state’s new education secretary on January 14. JD Chesloff, chairman of the EEC board, presented Secretary Reville with a certificate of appreciation. Reville thanked the board and the entire early childhood field for what he termed their “inspiring commitment” to the young children of Massachusetts.